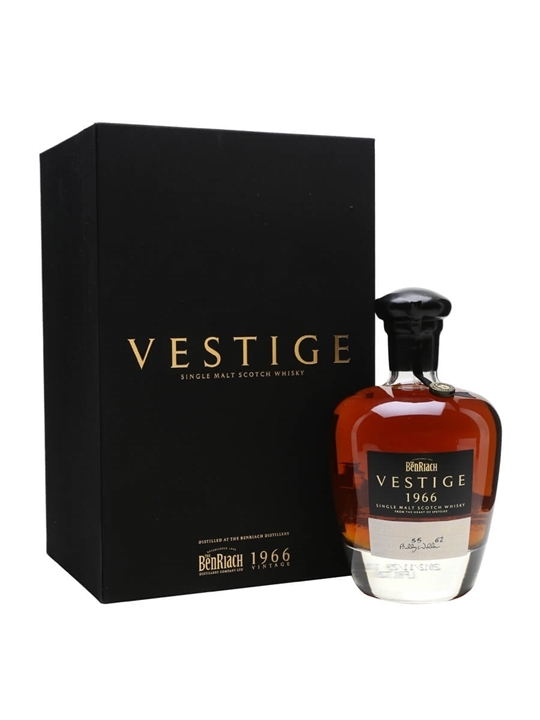 70cl / 44.1% / Distillery Bottling – A bottle of the extremely rare (just 62 bottles were released) Benriach Vestige 1966. “Vestige” has been so named because it represents a moment in time, a small trace of something very special that, once lost, can never be replaced. This is truly a piece of the distillery’s history. 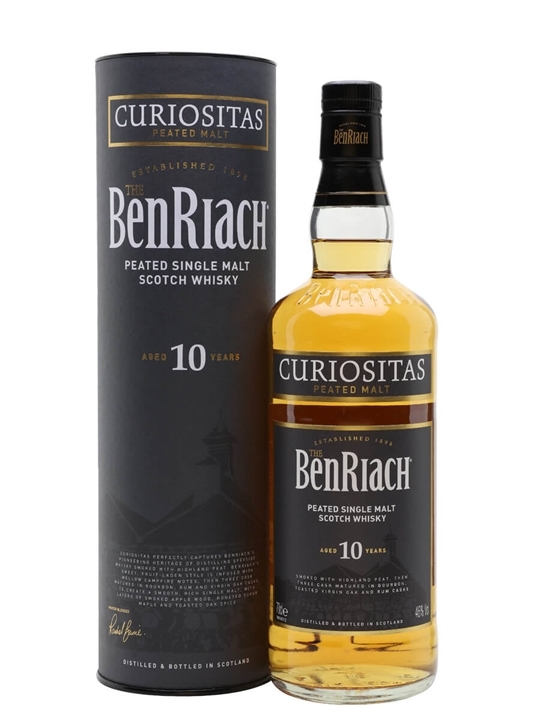 70cl / 40% / Distillery Bottling – Curiositas is the hugely popular 10 year-old peated malt from the recently-revitalised Benriach distillery. One of the few overtly peated Speyside malts, and definitely one to try for phenol fans. 70cl / 50% / Distillery Bottling – A 25 year old release from Benriach made from a combination of whisky finished in new wood and sherry butts. 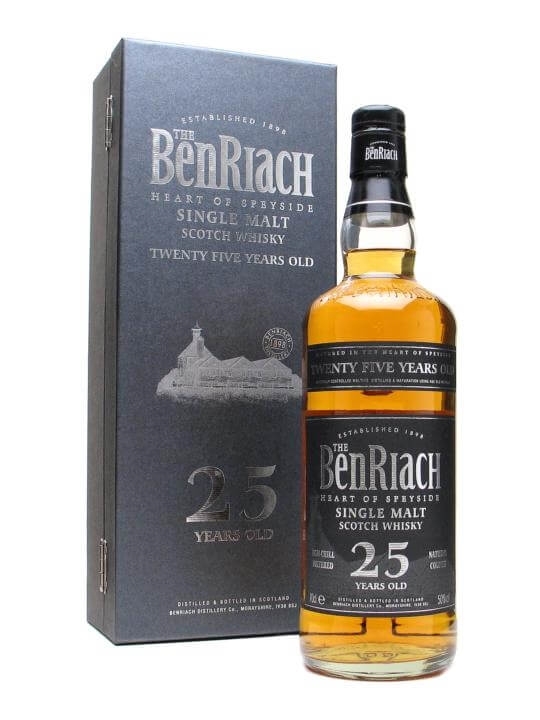 70cl / 46% / Distillery Bottling – Part of Benriach’s range of wood finished whiskies, this one using Pedro Ximinez casks to complete the aging of a 15 year old whisky..
70cl / 46% / Distillery Bottling – As the name suggests, this is a peated Benriach that’s been finished in a rum cask..
70cl / 46% / Distillery Bottling – One of a raft of wood-finished Benriachs introduced in Summer 2010, this 16 year old has been finished in claret barrels after an initial maturation in ex-bourbon casks and is described as tasting of ‘Spiced fruit scones, enrobed in a fig and date syrup.’. 70cl / 50.9% / Distillery Bottling – A full strength 1978 single cask Benriach, finished in a brand new virgin American oak hogshead. MAXIMUM 1 BOTTLE PER CUSTOMER..
70cl / 46% / Distillery Bottling – A 17 year old Benriach released in the UK in summer 2010, this Rioja-finished version is described as having floral notes including ‘violets, rosehip and dandelion’ alongside ‘Creamy oak…vanilla and nutmeg…ripe peaches and apricots’ on the palate..
70cl / 46% / Distillery Bottling – A new Madeira-finished Benriach 15 year old. Not to be confused with the Maderensis Fumosus, which was more heavily-peated – this is the lighter style of Benriach..